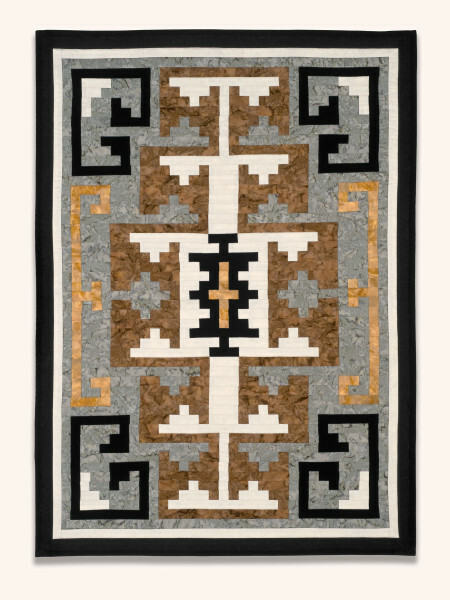 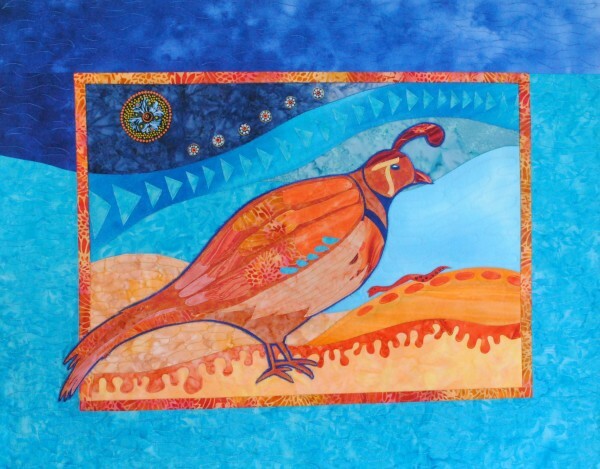 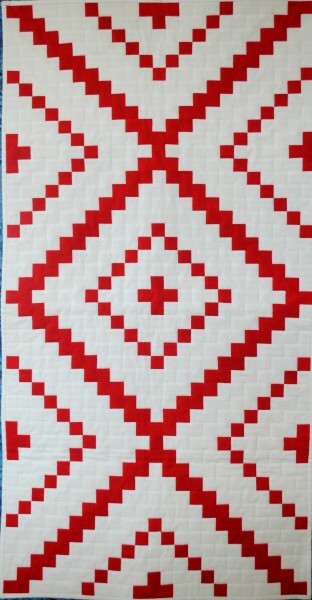 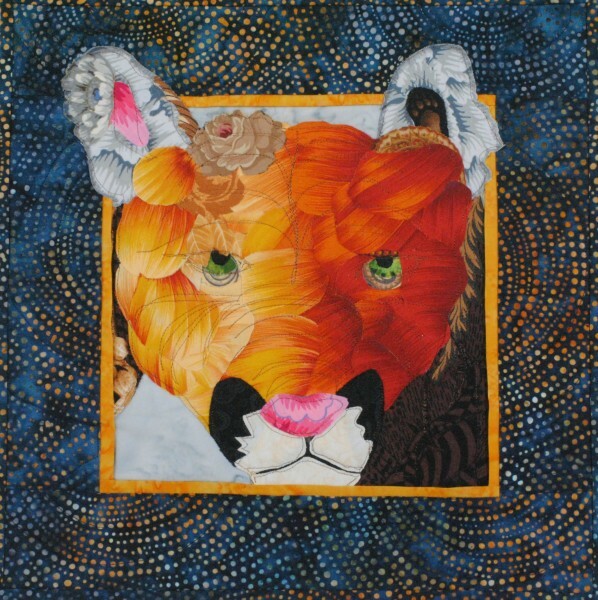 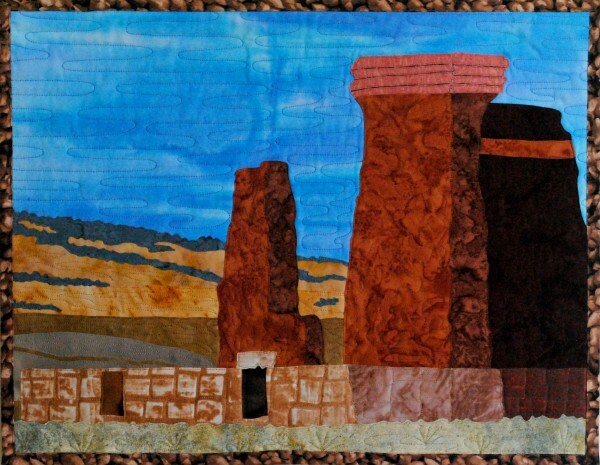 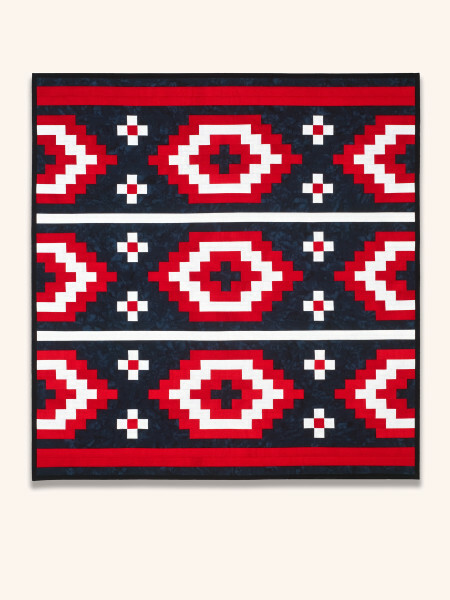 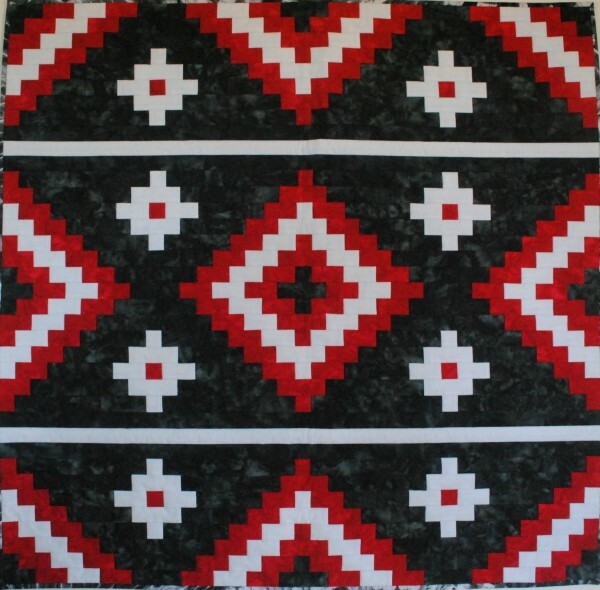 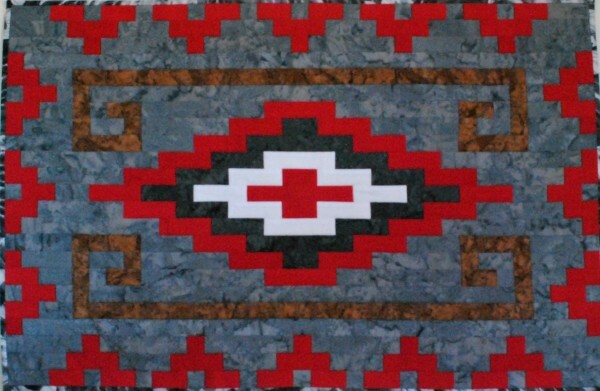 This quilt started with a photograph that I took of a Vermilion Flycatcher at Agua Caliente Park in Tucson, Arizona. 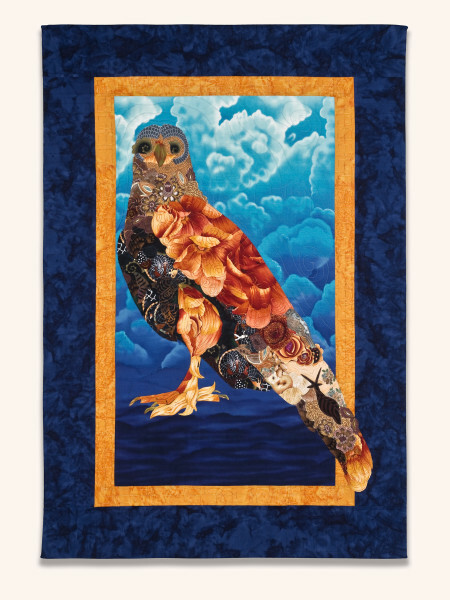 I used fabric collage to create the bird in fabric. 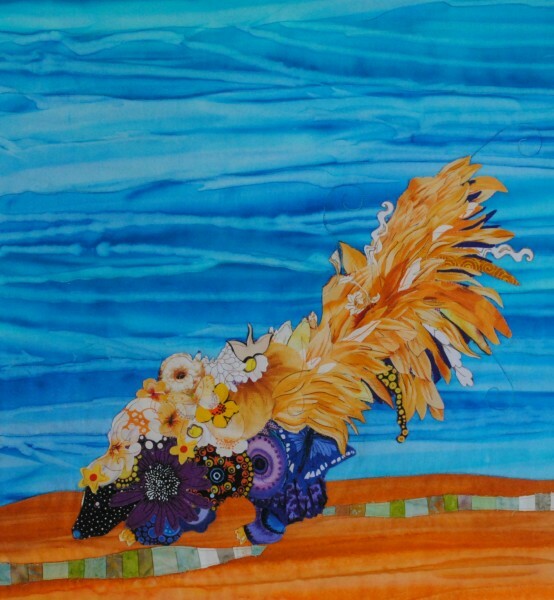 The posture is so certain and the coloration so rich.